This page describes the TIDE Hackathon 2019 to be held in Warsaw, Poland from 25 February to 1 March 2019. Registration has closed. We are looking forward to welcoming all teams in Warsaw. As part of the 2018-2019 Interoperability Continuum cycle the 2019 TIDE Hackathon features Data Science. The TIDE Hackathon will take place in Warsaw, Poland, and is an opportunity to tackle Data Science use cases that were identified during the Fall 2018 TIDE Sprint. These issues have now been developed into modelling, coding and visualization challenges that will be addressed by teams of experts from diverse backgrounds at the 2019 TIDE Hackathon. 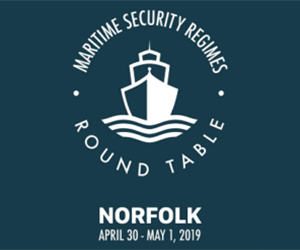 Teams that present solutions that are most significant for NATO could be invited to demonstrate and further develop them at the Spring 2019 TIDE Sprint event and potentially during CWIX 2019. 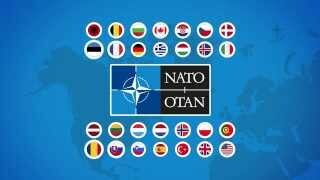 All solutions will be free to use by all participants and interested NATO Nations and partners. All material will be made available on Tidepedia to enable future collaboration and development. The best solutions will be used within NATO to address urgent business needs. The aim of the 2019 TIDE Hackathon is for teams of experts from a variety of disciplines to identify solutions to the Data Science use cases identified during the Fall 2018 TIDE Sprint event held in Norfolk, USA. Teams are expected to work competitively, but in the spirit of collaboration. 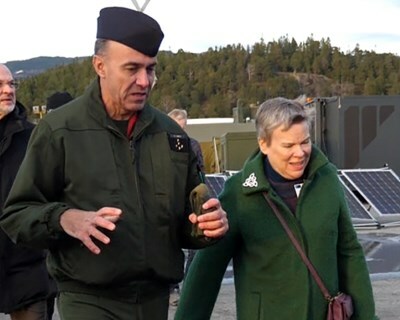 The challenge scenarios are based around on-going humanitarian de-mining efforts in Iraq and assessment of strategic communication objectives for the NATO Trident Juncture Exercise 2018. Teams consisting of 2-3 experts from NATO and partner nations’ governments, industry or academic organisations are welcome to apply. The Handbook provides potential participants with some context for the 2019 TIDE Hackathon, it explains the challenges, rules and the administrative aspects that must be considered. For more information on the 2019 TIDE Hackathon including participation please see the Calling Notice, the TIDE Hackathon Handbook, Trifold and Factsheet. With the introduction of the Hackathon back in 2015 an unofficial Logo Challenge was created by our engineers. The logo contained a hidden message that was to be unveiled. 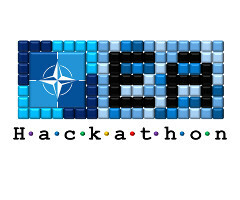 The promotion of EA Hackathon to TIDE Hackathon coincided with solving the Hackathon Logo challenge by teams from Denmark and the U.S which deciphered the message: 'Keep :) Hacking' and now are the newest addition to the NATO Hackers Club. This club developed a new Logo Challenge based on the new focus of the Hackathon to support the Federated Mission Networking, represented in the new logo. You will automatically become a part of the NATO Hackers Club, a prestigious special workforce that will group top talent, if you solve the challenge and submit your answer to a club member! The club members and their email addresses are listed in the handbook. In response to the dynamically changing geo-political environment that we face today, NATO conducts a process of continuous transformation, guided by a high level political agenda. Bringing effective change to such a large organization is, however, a complex endeavor. In order to support this challenging task, HQ SACT introduced a Hackathon, complementing traditional ways of procurement. The former Enterprise Architecture Hackathon was rebranded to become the TIDE Hackathon, to meet two major objectives. Firstly, to increase its scope in order to serve a larger group of stakeholders. Secondly, to provide support to the Federated Mission Networking (FMN) by becoming an enabler for the Interoperability Continuum initiative. The Hackathon will be integrated into the Interoperability Continuum that spans across the fall TIDE Sprint, TIDE Hackathon, the spring TIDE Sprint and the CWIX in a perennial circle. The four events will form a Fast Track to expedite the development of emerging concepts in support of FMN spiral specifications. The Fast Track will connect the Fall TIDE Sprint (Oct 2017, Virginia Beach), the TIDE Hackathon (19-23 March 2018, University of Montenegro, Podgorica, Montenegro), the spring TIDE Sprint (April 2018, Genova, Italy) and the CWIX 2018 (Jun 2018, Bydgoszcz, Poland). The participants of the fall TIDE Sprint proposed challenges to be tackled during the Hackathon by teams from industry, academia and military organizations. HQ SACT will sponsor the TIDE Hackathon winners to further develop solutions at the Spring TIDE Sprint and finally present them at CWIX. The last TIDE Hackathon was held in Podgorica, Montenegro from 19th to 23rd March 2018. Winners of any of the three challenges were invited to the 2018 Spring TIDE Sprint in Genova, Italy. One of the winners will additionally be invited to the 2018 CWIX in Bydgoszcz, Poland. Learn more about the challenge on the handbook. The Final Report has just been published - download it here. Modeling Challenge – The participants of the modelling challenge were tasked to develop a set of architectural patterns representing how Coalition Operations can adopt Cloud Computing Services by applying ideas from state-of-the-art technologies and business practices. The developed patterns should apply service oriented architecture principles, work in the federated environment, and identify interoperability points along with standardization opportunities. Coding Challenge – The participants of the coding challenge were tasked to develop working software prototypes by applying ideas from state-of-the-art technologies. Developed solutions should apply service oriented architecture principles, work in the federated environment, and help to identify interoperability points along with standardization opportunities. Joint Challenge – The task for the participants of the Joint Challenge were to develop experimental or demonstration solutions to the problem of sharing and using unstructured information in a federated, distributed environment. Solutions could be either architectural models or working prototypes. Participants could also try the Logo Challenge. 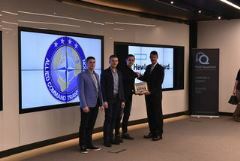 The second NATO Hackathon took place from 27 to 31 March 2017 in the city of London, United Kingdom. The event was organized by a cross-functional team of individuals drawn from Technology & Human Factors (THF), Communication and Information Systems (CIS), Cyber, and Future Solutions (FUSOL) branches at Headquarters Supreme Allied Commander Transformation (HQ SACT). The Hackathon followed a proven business model to offer participating teams challenges in the area of modelling or coding. This year one more challenge was introduced that combined modelling and coding tasks in a joint scenario. Modelling Challenge – Teams were required to develop architecture patterns for the rapid adoption of cyberspace as a fifth military domain. Six teams of Enterprise Architects, Operational Analysts and Software Engineers participated in this challenge. 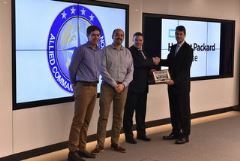 The solutions that they developed will be consolidated further and used to inform the new concept for Cyberspace Operations that is currently under development at ACT. 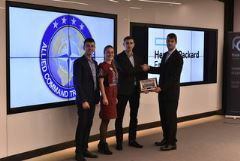 Coding Challenge – Teams were requested to apply modern analytics to identify hidden information patterns within NATO interoperability assessment databases. The goal was to come up with appealing visualizations of the data and explain how these could be used to transform the business. In the next step of this effort, ACT is considering the potential use of these solutions in the CWIX environment to enhance the analytics capability for managers and analysts. Joint Challenge – Teams needed to develop models and/or prototypes of Internet of Things (IoT) applications that would increase the effectiveness of future Command and Control (C2). 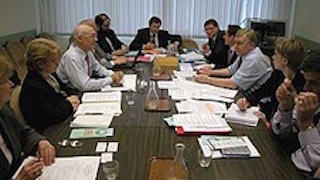 The exploration of the IoT space will help to reshape the concept of C2 that ACT is currently developing as a part of its C2 Focus Area activities. All the solutions from the IoT challenge will be continued to develop, ultimately becoming a part of a C2 Concept demonstrator to be presented at the CWIX 2017 event. The second NATO Hackathon has proven once again that this competition model developed by ACT can produce real solutions to relevant contemporary challenges. The high level of participants’ professionalism, commitment and effort generated a respectable number of quality products - including thousands of lines of code and tens of architectural models, predominantly from the voluntary contributions of the participants. That is already bringing its first fruits to the NATO Enterprise: the products have been demonstrated in the ACT C2 Innovation room at CWIX 2017. The Hackathon brings for the first time Internet of Things platforms to the CWIX community, opening a new frontier for innovation and experimentation. Similarly, the applications of big data analytics technologies were presented to showcase their applicability to the NATO environment. The final report from the 2017 edition of the NATO Hackathon is available here. 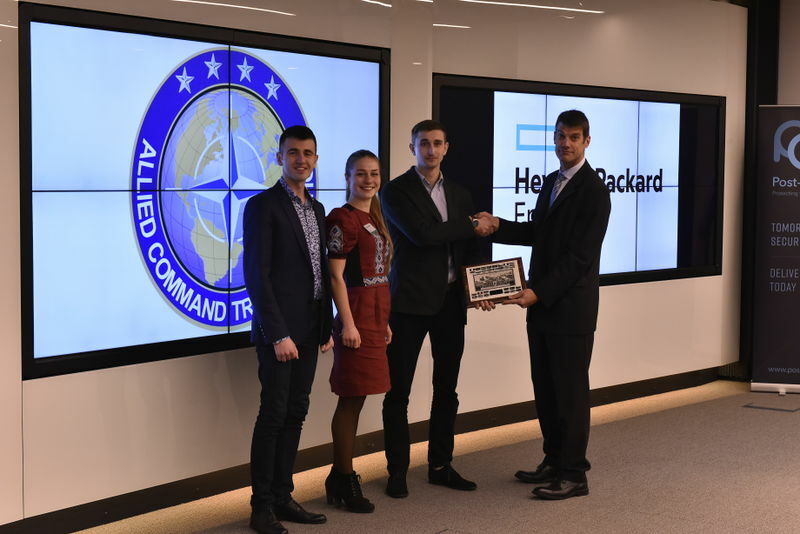 ACT highly values the engagement and support offered by Hewlett Packard Enterprise and Post-Quantum during this edition of the NATO Hackathon. It has shown that industry participation allows for making the Hackathon events significantly better. ACT will organize a planning conference for the next Hackathon from 18 to 20 October 2017 in Virginia Beach to select new challenges and to kick off the formal planning process. The 2nd NATO Enterprise Architecture Hackathon took place in London on 27-31 Mar 2017; click here for the Invitation Letter. Additionally, a Request For Information was issued for industry and academia. It is available here. 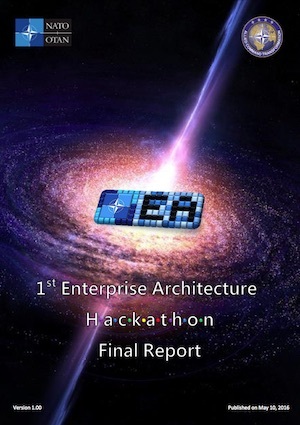 The 2nd Enterprise Architecture Hackathon Handbook is available here. 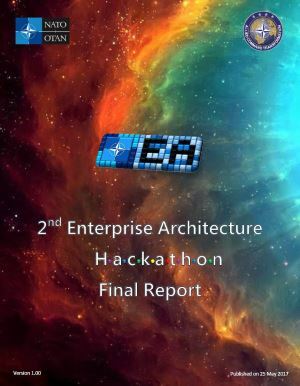 The Final Report for the 2nd Enterprise Architecture Hackathon was published on May 25th, 2017. It is available here or, alternatively, clicking on the image above. The participants of the 1st EA Hackathon (Cracow, 4-6 April 2016) delivered an unprecedented number of tangible products and solidified the community of Enterprise Architecture stakeholders. More than 20,000 lines of code, tens of models and accompanying pages of analytical work have been produced by the participants from nations, industry and academia during the week-long event. 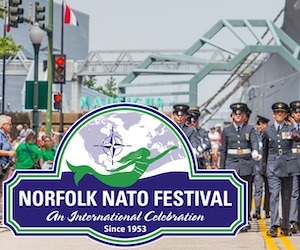 The event provided outcomes that directly support operational needs and therefore add value to the NATO Enterprise. The results of the modelling challenge have been used right away by Multinational Capability Development Campaign (MCDC) community and by Mission Threads Capstone implementers, while the outcome of the coding challenge was incorporated into the ACT’S architectural software baseline in order to support capability development process. The final products contribute to a body of knowledge for the NATO and National architects, operational analysts and requirement engineers in order to increase the maturity of the EA discipline and to enhance tools suite at EA stakeholders’ disposal. The products created during the 1st EA Hackathon remain in the open-source domain. Enterprise Architecture practice within NATO is already well established and the number of architectural products and use cases constantly increases. Nevertheless, the delivery of the ultimate effect – Enterprise Change – is often delayed due to organizational inertia. Allied Command Transformation, driven by its transformational mission, have developed the concept of the Enterprise Architecture (EA) Hackathon as a means to enable rapid transformation and innovation that could instantly re-shape the NATO Enterprise. The concept is to directly address current business needs by applying an industry proven format, engaging with groups made up of both of experts and novices "parachuted" into high intensity work environment for a time limited period to focus on specific challenges. 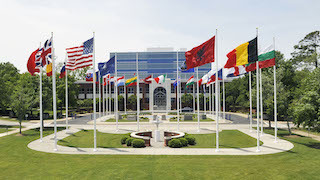 NATO’s multinational nature, consensus-based business model and high level of organizational complexity form an environment where unique problems emerge. Some of them are trivial, other very challenging and difficult to solve by traditional means. EA Hackathon focuses on the latter and provides participants a rare opportunity to work with NATO experts to develop solutions. Many will agree - "If you can solve it for NATO you surely can solve it for anyone else". Participants from nations, NATO bodies, academia, and industry come to EA Hackathon to work in competitive environment on the pressing issues NATO is facing today. The resultant solutions developed for a set of predefined challenges are kept in the open source domain to enable future development and collaboration. The best solutions are being deployed within NATO Enterprise to address urgent business needs. EA Hackathon does not replace the traditional research, development and procurement processes, but rather complements them, with the aim to accelerate the enterprise change by stimulating multidisciplinary innovation in the areas of the greatest business risks and opportunities. The aim of EA Hackathon is to create the environment for experts and novices who are involved, or interested, in businesses innovation and transformation to competitively work on the pressing problems identified within NATO Enterprise that are difficult to solve by the traditional means. In 2009 a small group of NATO and National architects met at TIDE Sprint in Amsterdam to begin building a community of experts interested in innovation and transformation of Enterprises by applying the frameworks, tools and techniques of the Enterprise Architecture discipline. The Enterprise Architecture track was born, and quickly has become one of the most popular tracks of the TIDE Sprint events. To foster relationships among NATO and National bodies using and promoting Enterprise Architecture approach. 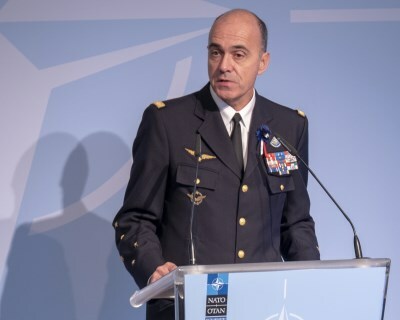 The EA community work led to many joint ventures among participants and contributed to the production of the architectures, increase of the capability development process maturity and increase of the Communication and Information Systems (CIS) interoperability and standardization levels within NATO. The community driven architectural products include Consultation, Command and Control (C3) Taxonomy and C3 Technical Services Taxonomy. 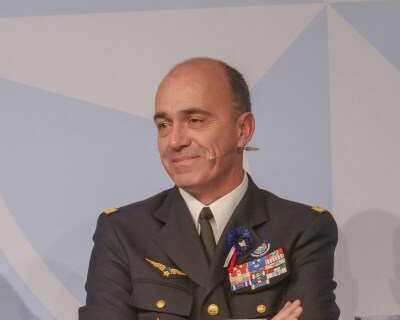 The EA community also influenced the work conducted by NATO policy makers what resulted in the approval by the NAC of the C3 Alliance Strategy4 that recognized and calls for the implementation of Enterprise Architecture as a discipline in the NATO Enterprise. 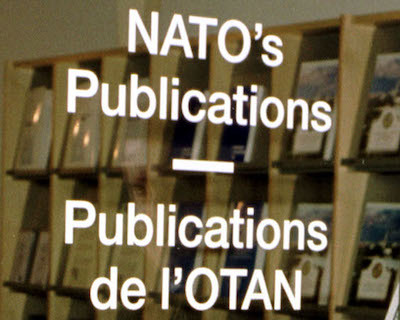 As the highest level policy document this strategy guides the development of Policies and Directives that orchestrate NATO organization and its interactions with Nations and partner organizations. To further increase the adoption and maturity of the architectural discipline, the EA community proposed to provide more "hands-on" experience that could bring closer the mindsets of participants and lead to the development of transformational products. It has becoming especially critical as the number of the architectural products is constantly growing and the lack of standardisation and effective exchange mechanisms hampers further evolution of the discipline. Appendix A provides more insight into the EA discipline primary work areas. Following the best industry practices it was agreed during the Fall TIDE Sprint in 2015 to use the Hackathon format to address the need for change. It allows for engagement with participants who are not traditionally involved in enterprise architecture, but could provide an eye-opening ideas to the community. At the same time the teamwork and on-site prototyping of solutions would allow for rapid idea-to-solution cycles. Lastly, the hackathon format brings the friendly competition aspect that shouldn’t be underestimated. The EA Hackathon is an event where enterprise architects, software developers, and experts from related fields meet to form a teams and compete to rapidly develop solutions for business problems by applying the EA discipline methods, tools and techniques. During a EA Hackathon teams compete to identify solutions to specific challenges by fostering innovation, engaging diverse stakeholders and improving understanding of challenges faced by the NATO Alliance. The EA Hackathon offers the participants two main types of challenges for competition – modelling and coding. It's recommended for the participating teams to select only one of the challenges. The generic description of the challenges is given below and is constant over multiple EA Hackathon events. The specific details of challenges for a given event are provided in the PART TWO of this Handbook and will vary from event to event. The Modeling Challenge(s) calls, for the given business case, to develop of an innovative EA method, visualization, architectural model, or technique improving effectiveness of enterprise architecture approach. The Coding Challenge(s) calls, for the given business case or the previous modelling challenge outcome, to develop a novel software/hardware based solution. The Joint Challenge calls, for the given business case, to develop experimental solutions in the domain of the Internet of Things (IoT) that can be used to solve operational problems. Solutions can be either architectural models or working software/hardware prototypes. The professions and skillset of the individuals participating in the EA Hackathon is not constrained by any formal requirements and includes, but is not limited to, EA/Business/ICT architects, operational analysts, system engineers, software developers, graphics designers, human factors experts, business managers, and students. There are no prerequisites on the level of expertise and both experienced professionals, early adopters, and students can participate. The EA Hackathon equally welcomes participants from Industry, Academia and Military/GO/NGO organizations. The EA Hackathon is not strictly technical event, and therefore there is no need, nor prerequisite for a technical knowledge. Equality important as expertise are enthusiasm and energy. The only formal requirement imposed on a participant is a sponsorship requirement that could be obtained via National Military or Government organizations. See the Preparation chapter for more information about registration process. All the participants will register and form (or be formed) into the teams of 2-3 persons before or on the first day of the event. Only registered teams will participate in the competition. To assure the fairness of the competition and facilitate for wide participation the EA Hackathon organizer will colour code each of the participating teams by either blue, green or white colour. Blue Teams are a competitive hackers’ group of individuals from Military, Industry and Academia. The primary task of the Blue Teams is to solve and present the the offered challenge(s). Green Teams are a non-competitive hackers’ group of individuals from NATO with a NATO Architect on board. The primary task of the Green Team is to solve and present the offered challenge. To assure the fairness of competition green teams are not participating in competition. The Green Teams are allowed to provide the expertise to the Blue Teams upon request. White Team is a non-competitive control team. The primary responsibility of the White Team is to assure the efficient execution of the Hackathon and fairness of the competition. The White Team is allowed to select one of the challenges and present the solution. The team members will include modelling and coding challenge designers, game controllers, SMEs, Media, Infrastructure designers and administrators. The Selection Board consists of the three voting members and the lead of the White team. The Lead of White team plays only advisory role and has no voting right. The selection board members will be nominated for each EA Hackathon. All the participants are required to bring their own devices (BYOD) with wi-fi network cards. The participants may offer their architectural/requirements/3P repositories for other for reuse/exploitation/integration. The EA Hackathon process includes three main stages; preparation, execution and closure. In the process of preparation all the participants are encouraged to familiarize themselves with the read ahead materials posted for each of the challenges. The registration process involves two steps. Team suggested allocation (blue or green team). The organizer will make the best effort to allocate individual participants to their preferred teams and challenges. The list of individual participants with their preferences will be published online as soon as they complete the registration process. The individual participants are welcome to contact directly the registered teams accepting external participants before the event. The registration will be formally closed on the first day of the EA Hackathon. The coding and modelling challenges will be revealed in stages leaving the element of surprise for the last minutes before the execution. The high level description of the challenges will be posted early on with the initial information package. The final information package will specify more details of the challenges providing detailed selection criteria, examples of possible solutions, and mandatory prerequisites. Lastly the element of surprise will be brought to the participants on the day of the hackathon execution. The execution of the main event will be broken into three stages. First the Set Up and Introductory sessions will prepare the execution on the site, followed later by the main competition stage including Final Products Submission and then Closure. During the main competition the teams will be solving the offered challenges. While this take place the interaction among teams is allowed as long as it not distracting other teams work. The participants are encouraged to act as following basic “library” behaviour rules. Helpful and friendly interactions with other participants, respecting opposite and alternate opinions and contributions. The final products along with presentation (optional) need to be stored on the shared server following the guidance provided by the Hackathon Coordinator.